Let It Die (game, 2016). A free-to-play hack and slash video game by GungHo Online Entertainment America, Inc. Developed by Grasshopper Manufacture, GRASSHOPPER MANUFACTURE INC., SUPERTRICK GAMES,Inc., GungHo Online Entertainment America. Official Trailer. 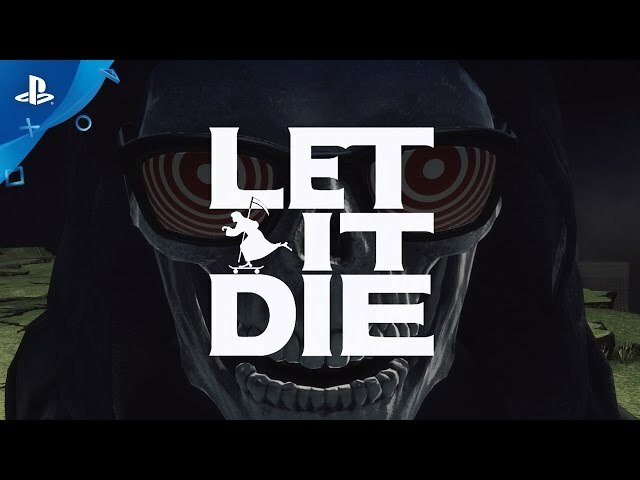 Let It Die is a free-to-play hack and slash video game by GungHo Online Entertainment America, Inc., developed by GungHo Online Entertainment America, GRASSHOPPER MANUFACTURE INC., Grasshopper Manufacture and SUPERTRICK GAMES,Inc..
LET IT DIE - PlayStation Experience 2016: Launch Trailer | PS4. Under the supervision of a skateboarding grim reaper called Uncle Death, players fight through a treacherous tower, obtaining various types of weapons and armor while finding creatures and mushrooms to eat in order to stay alive. Upon death, a player's "death data" is then circulated among other player's games where they will appear as formidable opponents. The sharing of "death data" is one of the various asynchronous multiplayer elements that can be found in the game. Under the supervision of a skateboarding grim reaper called Uncle Death, Players fight through a treacherous tower obtaining various types of weapons and armor while finding creatures and mushrooms to eat in order to stay alive.Upon death, a player's "death data" is then circulated among other player's games where they will appear as formidable opponents.The sharing of "death data" is one of the various asynchronous multiplayer elements that can be found in the game. 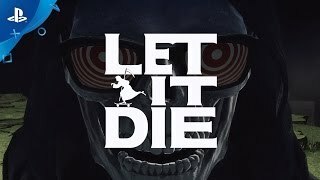 Let It Die was scheduled to be released by GungHo Online Entertainment America, Inc. on December 3, 2016, on February 2, 2017 and on September 26, 2018. This video game is available for the following platforms: PlayStation 4 and Microsoft Windows.